I am told this post caught friends and family of the congressman off-guard and added to what is already a stressful, trying time. 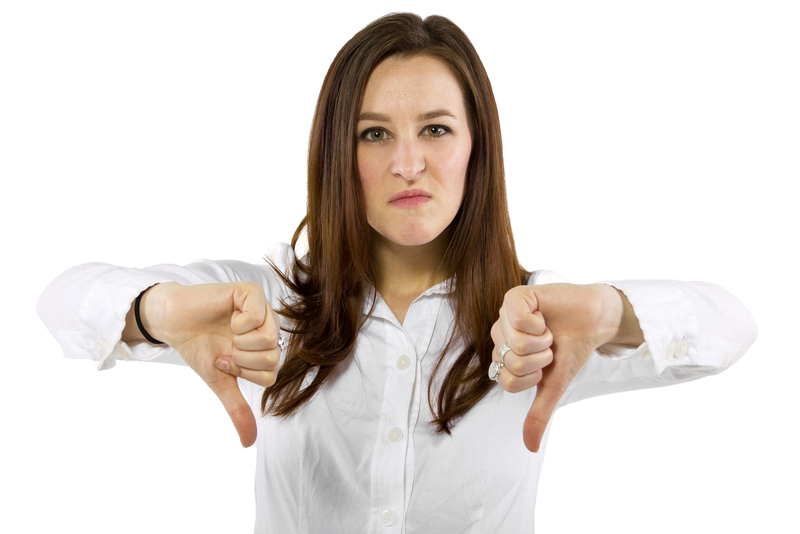 “Poor judgement”? Talk about an understatement. NO “reliable source” who actually knows the truth would have spread something like that. And now for the REAL story. 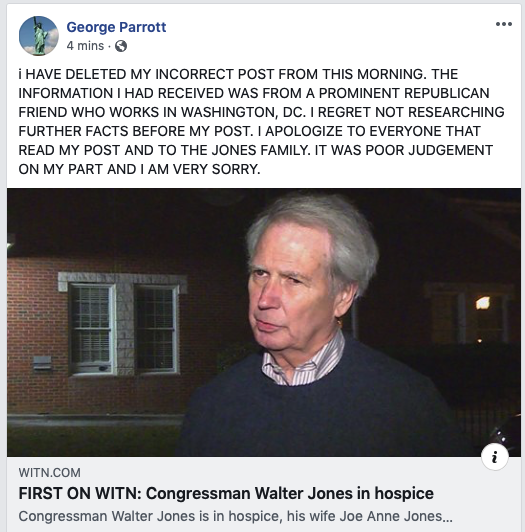 Sources close to the congressman confirm the WITN report that Jones has moved into hospice. My sources confirm that he DOES NOT have cancer, but note that the family is not ready to publicly disseminate his personal health details. This is an amazing turn of events — given that Jones was seen eating at Parker’s BBQ in Wilson just eleven days ago. Moving someone to hospice usually means that the doctors have run out of options and the end is not far away. There are a lot of reasons other than cancer that can result in a move to hospice. Hospice is all about making the patient and their families comfortable during the most trying of times. I am told this is not a “any minute now” type of situation. But a move to hospice is a sign things are rough for you health-wise. Voters in the Third District will likely be making a decision on new representation much earlier than anyone had anticipated. Jones and his team and his family have handled this like he’s handled everything else in his life. Jones has often bragged about being “a work horse, not a show horse.” It’s a rare trait for a politician — staying private and shunning the publicity. It’s a good time to put the brakes on being political animals, and focus on being respectful, decent human beings. 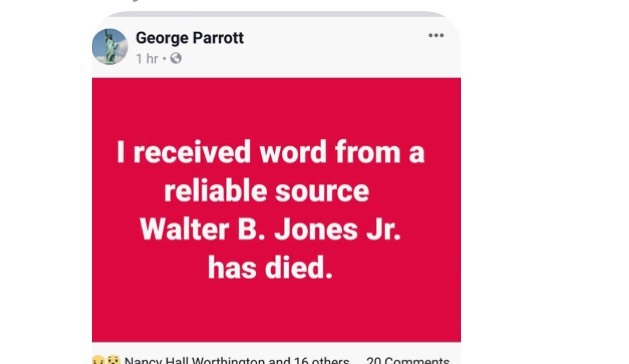 Walter Jones is ailing. His family and friends are suffering. It’s a good time to say a few extra prayers for Congressman Jones and his family and to remember all of the GOOD he has done for his neighbors and constituents. Thanks for this post and comment. Representative Jones and his family have earned their right to privacy at this stressful time. Thank you. Our thoughts and prayers are with Congressman Jones and his family. 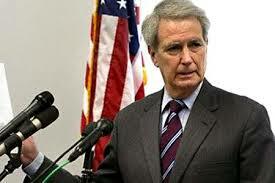 Rep. Walter Jones always telling the Truth and working to support the Eastern Coastal NC! God bless Rep. Walter Jones!